The international association Responsible Jewellery Council (RJC), which was founded in 2005, has set its sights on promoting trust in the jewellery industry and on encouraging responsible entrepreneurship throughout the entire supply chain. 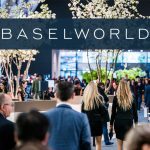 Its members are made up of companies involved in the gold and jewellery industry, from the mine to the jewellery trade, who commit themselves to ethical, social and sustainable business practices as defined by the strict Code of Practices. In order to become a member of the RJC, companies must adhere to the criteria in the entire supply and production chain. Independent auditors, who are accredited by the RJC, regularly audit the member companies to ensure that they fulfil the criteria. 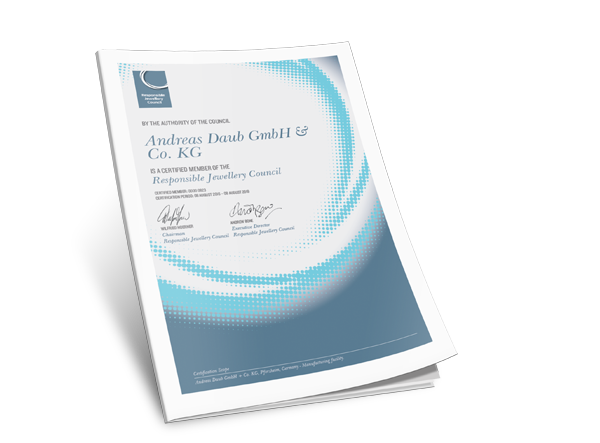 The company Andreas Daub in Pforzheim has been a certified member of the RJC since November 2016. You can find out more about these principles at Company Business Principles and at www.responsiblejewellery.com.